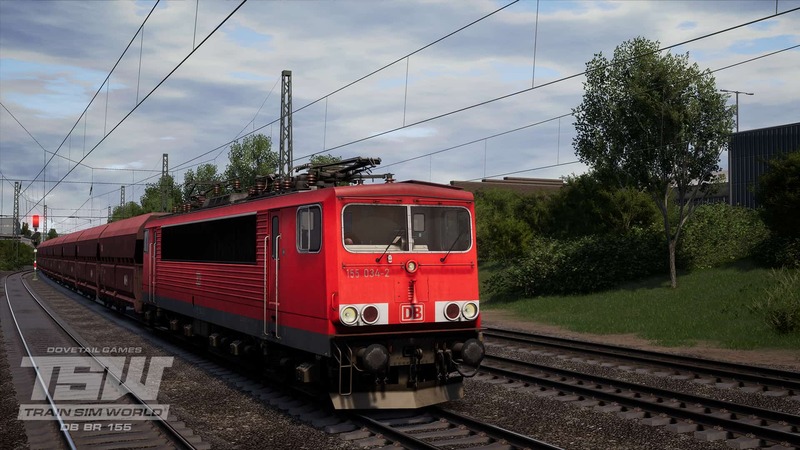 A classic dating back to the 1970s, the DB BR 155, is coming very soon to Train Sim World for heavy freight-hauling action through the valleys of rural Germany! As freight demands and the spread of electrification grew throughout the mid-1960s, it became apparent that Deutsche Reichbahn’s current fleet of freight locomotives were no longer up to the task alone; not only that, but motive power which pre-dated the Second World War was in dire need of replacement. This meant a new electric locomotive was needed. DR were after a six-axle locomotive that could easily haul any form of rolling stock, be that freight or passenger, and other features such as a light steel body and ergonomic drivers cab were also part of the plans. The new Co’Co’ locomotives were given the title of “E 51” and construction of the first prototypes began in the early 1970s. By the time of their completion in 1974, the prototypes had been designated as the DR BR 250. By 1977, the prototypes had completed their testing and mass production of the BR 250 soon followed. 270 locomotives were ordered, and all were delivered to DR by 1984. Nicknamed the “Electric Container” (due to the distinctive cargo container-like shape) the BR 250s were being used for both freight and passenger services, although the fleet was primarily focused on the former; in fact, their introduction lead to a noticeable reduction in road hauled freight traffic in subsequent years. Following the reunification of Germany in 1994, the DR BR 250s were renumbered under Deutsche Bahn’s reclassification system and become known as the DB BR 155s. 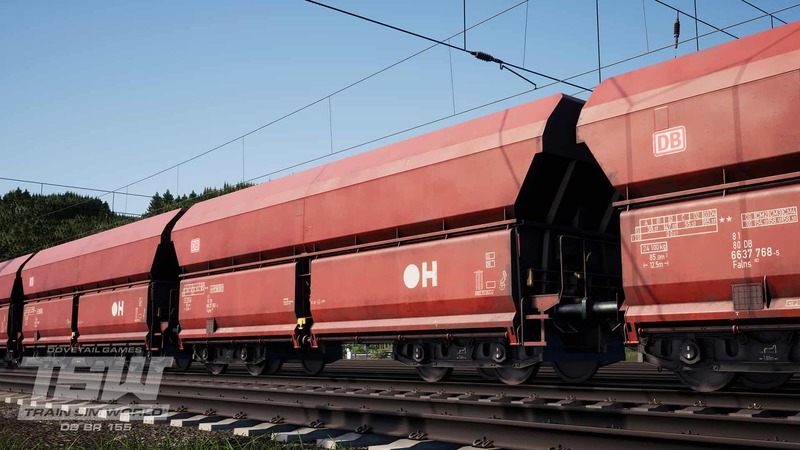 Following this, the BR 155s could be seen all over the German rail network, hauling a wide variety of freight services, including fast container trains on the high speed lines. In more recent years, the BR 155s have suffered repeated problems with their bogies, leading to permanent reductions in top operating speed. As 155s slowly decayed over time, some were sent for scrap with their re-usable parts spared to fix the others. There were multiple plans from Deutsche Bahn to phase out these aging locomotives, however a good number of them still operate today. Only 1 of the prototypes has survived, 155 001, which was retired from service on 3rd April 2006 and can be found in the DB Museum in Koblenz. 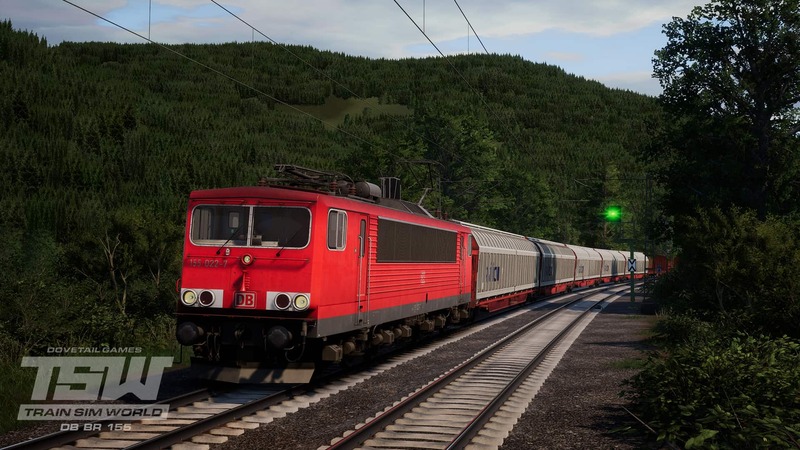 The “Electric Container” has stood the test of time, and soon, you can take to the rails hauling heavy freight with a nostalgic twist, as the iconic DB BR 155 is coming very soon to Train Sim World for enticing Ruhr Sieg Nord action! Coming very soon to Train Sim World, the DB BR 155 will bring to life classic heavy freight motive power on Ruhr Sieg Nord, seamlessly swapping into over 30 existing services alongside the DB BR 185.2. DB BR 155s get to work along the historic Ruhr Valley, hauling whatever is required (above and below). 3 scenarios are also included, as well as an interactive tutorial, allowing you to get to grips with the intricacies of this iconic “container”. 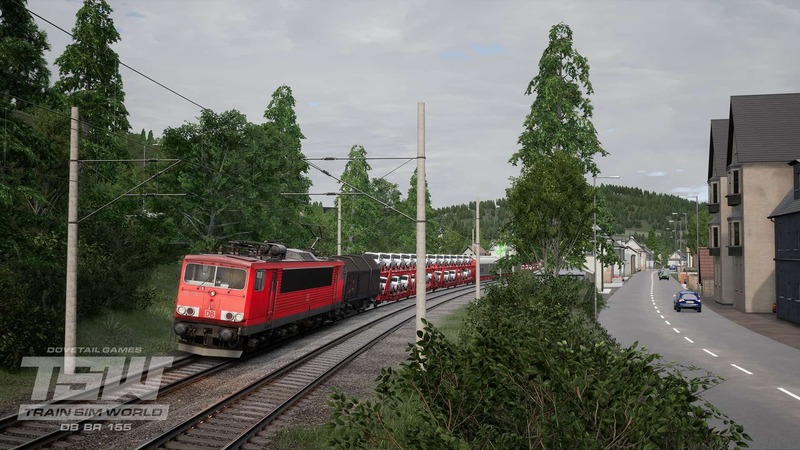 Included with the DB BR 155 is the Falns 183 Coal Hopper, bringing more freight gameplay in the form of 16 additional services for Ruhr Sieg Nord. These services will be drivable from not only the DB BR 155 itself, but also the BR 185.2. 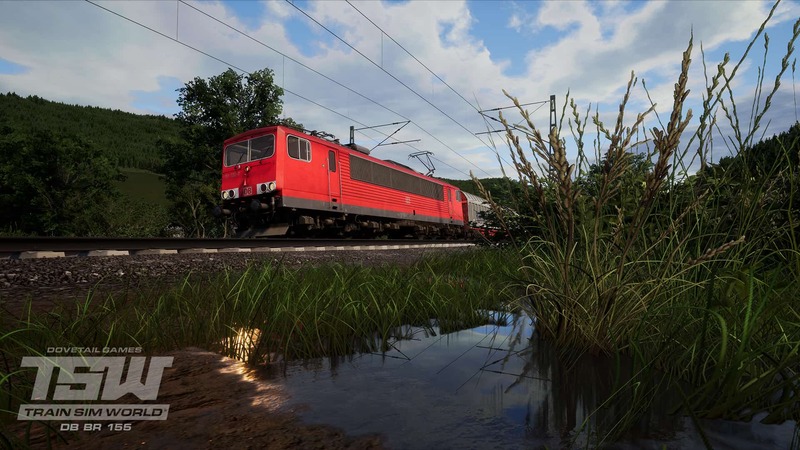 And if that wasn’t enough, the DB BR 155 will also swap into over 75 freight services on the Main-Spessart Bahn route, putting your skills to the test as you manage your speed across nerve-demanding gradients. 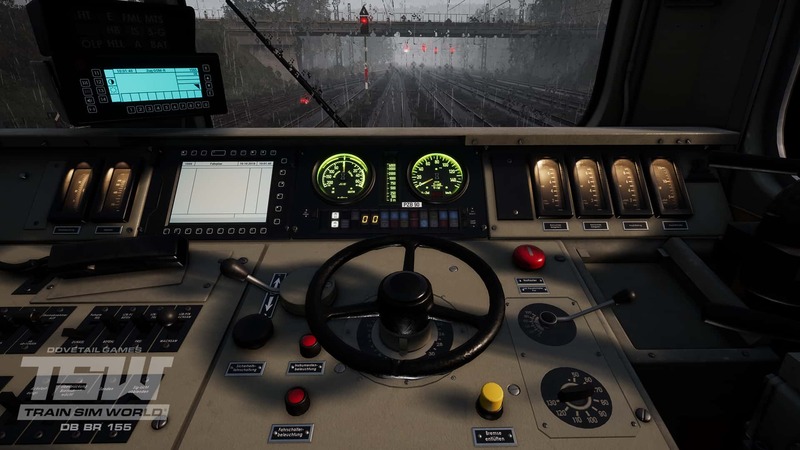 Watch this space as the DB BR 155 is coming very soon to Train Sim World!